Looking for gift ideas for mums, sisters, friends or someone special? We’ve got you covered with the perfect gift for women who love beauty. Choose a GLOSSYBOX eGift Voucher for a 3, 6 or 12 month subscription.Delivery is included! Each box is filled with 5 amazing beauty products, lovingly wrapped and delivered to their door each month. You choose a 3, 6 or 12 month subscription for someone special. Be prepared for massive brownie points, they are going to absolutely love it! We'll send you an email with all the details you need. You send your gift by email (or maybe make a nice card first!) to the lucky new GLOSSY member. Your lucky GLOSSY follows the steps in the email & enjoys their monthly box! A GLOSSYBOX will be sent each month with 5 amazing beauty products. Have you received a GLOSSYBOX eGift Voucher? Lucky you! Click the button below, choose your plan and enter your unique code at checkout to start your GLOSSYBOX journey today! Looking for gift ideas for mums, sisters, friends or someone special? We’ve got you covered with the perfect gift for women who love beauty. Carefully packaged in our signature pink box, the expert team at GLOSSYBOX curates every beauty box, vetting each brand to the highest quality standards and ensuring every product is the latest must-have beauty essential. Treat someone special to a 3, 6 or 12-month subscription with our GLOSSYBOX eGift Voucher. Delivery is included! With mother's day fast approaching on March 31st, treat your Mum to a GLOSSYBOX gift subscription which will be the perfect way to say thank you and show your appreciation. Quick! I need a last minute gift! Running out of time to find the perfect gift? Or is there an unexpected guest arriving any minute? Don't worry! 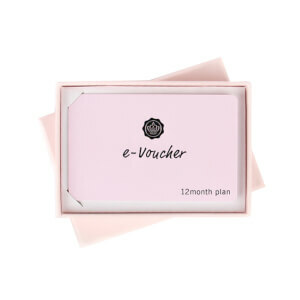 A GLOSSYBOX eGIFT Voucher is the perfect solution, and it's delivered to your inbox in seconds. Show some love from afar with a GLOSSYBOX eGift Voucher. It’s the perfect hassle-free gift. Just send a 3, 6 or 12 month subscription voucher via email.